Dr. Jeffrey T. Brodie specializes in the treatment of foot and ankle conditions with a special interest in foot and ankle arthritis and ankle replacement. Dr. Brodie was recognized among Baltimore Magazine’s Top Doc list of 2018 for his excellence in orthopedic surgery. 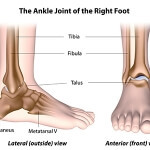 In addition to foot and ankle arthritis, Dr. Brodie provides treatment for a variety of conditions including disorders of the Achilles tendon, flat foot deformities, ankle instability, and nerve compression of the lower extremity. He sees athletes of all levels from recreational teams to the pros. Dr. Brodie will also see patients seeking a second opinion. Please contact his office for more information. Dr. Brodie graduated from Emory University with a B.A. He received his M.S. and M.D. degrees from Georgetown University and completed his post-graduate training at Monmouth Medical Center and the Mayo Clinic, Scottsdale. Dr. Brodie is fellowship trained in surgery of the foot and ankle. 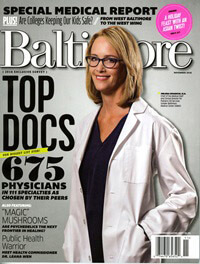 Foot and Ankle Orthopaedic Surgeon Dr. Jeffrey Brodie named to annual Top Doctors’ List by Baltimore Magazine. UMMS and University of Maryland St. Joseph Medical Center Physicians including orthopaedic surgeon Jeffrey Brodie, M.D., were recently named to 2016 Top Doctors list by Baltimore Magazine. Dr. Brodie, a multi-year recipient of the annual honor, is fellowship trained in surgery of the foot and ankle. 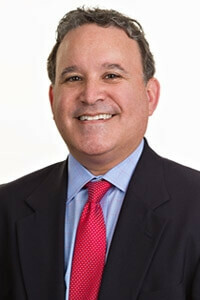 He joined Towson Orthopaedic Associates in 1997. Top Doctor results are based on a Baltimore magazine survey of nearly 10,000 physicians in the Baltimore area, including Baltimore City and the surrounding seven counties, asking where they would send a member of their family in dozens of specialties. Also, recently, the Baltimore Sun featured an inspirational story of an athlete treated by Dr. Brodie. Dr. Brodie was also named Top Doc in 2008, 2010, 2013, 2014, 2015 and 2016. Please tell us about YOUR experience with Dr. Brodie! Dear Dr. Jeff Brodie & Staff: Bob & I would like to “Thank You!” for all the patience and kindness you had during his ordeal. He was not always the ideal patient. I do apologize for him. Dr. Brodie, thank you for your expertise and the wonderful job that you were able to perform on that leg. We will always be thankful we found you. Tony, I know you must really love what you do. A patient like Bob puts you to the test. Bless you for hanging in there... (Read more below) -- Diane & Robert S.
Dear Dr. Brodie: I wanted to express a sincere thanks to you for fixing my ankle. I am leaving you this photo of my visit to Egypt as a sign that you have done a fantastic job. Thank you. Sincerely, -- Maxine Y.
Dr. Brodie: Thank You for helping me to walk again., -- Rosanna P.
Hi Dr. (Brodie): Wishing you all the joy and happiness that Christmas brings! Merry Christmas. Happy New Year. Hope you are doing well, and there is lots of knee business! I am A-ok, and never cease to be amazed at the new life I enjoy, each day, with my knees, thanks to you. -- Angela P.
With many thanks to you for your kindness & professionalism. Hey Doc (Dr. Brodie), Just wanted to express my thanks for fixing me up. So far, so good! The soreness gets less each day & it’s great to run with my 9-10 girls B-Ball team. Have a great week. -- Tim T.
Dear Dr. Brodie: I wanted to take a few moments to write and let you know how right you were with your assessment of my problem and how well you did with the procedure. I am still amazed. I went two years with the problem you worked on and was in considerable pain a good part of the time. I saw no less than 5 doctors who really didn’t have a clue and seemed to pass it off as part of the pain you may feel with aging. You took the time to listen and probe and felt you knew what was wrong... (Read more below) -- Ron G.
Dear Dr. Brodie and Staff: Thank you ever so much for everything you have done for me over the past six weeks! Everyone has been great and has given me a lot of TLC! I know right where to come the next time I fall off the sliding board and break an arm (ONLY TEASING!!) Thanks Again. -- Nicole M.
Dr. Jeffrey T. Brodie: Just a note to express my deep appreciation for you going to bat so I could receive a Roll-A-Bout. Trying on my own didn’t help but your help did. I truly appreciate your help. If all doctors were more like you, all patients would care more about their recovery, and want to get better and well. Thank you again. -- Bill G.
Hello Doc (Dr. Brodie): Just a note to tell you that I’m doing well so far. Thanks for all that you have done for me. Please tell your staff “thanks” also. I hope to see you all when I return. -- Charles D.
Dr. Brodie: Thought I would send you a getting well picture of my foot. Healing well, pain more down to 1-2, yea! I’m glad your my doctor, have a peaceful day! -- Miss P.
Here’s a photo of me dancing at my 70th birthday celebration!! Thanks for all you did to make this possible. Sincerely, -- Donna H.
I would like to take a moment to thank you for the great job you did repairing the nerve damage. My drop foot is gone and I am doing really well working. I walk over 6 miles a day at my job, so not wearing a foot brace is wonderful. You did a great job. People are amazed about how well I’m doing. Thanks again -- Bill B.
Dr. Jeffrey Brodie, I want to say thank you for the care you provided for me during my stay in February 2017. You were very attentive to my care and concerns. The food was very delicious, hot and prepared and delivered well. My stay was brief and I am doing well after my total ankle replacement. I look forward to seeing you for my appointment and x-rays to see how I am doing so far with the surgery. I could not have asked for better doctors, hospital, staff and care. Thanks again. --Sincerely, Sandra S.